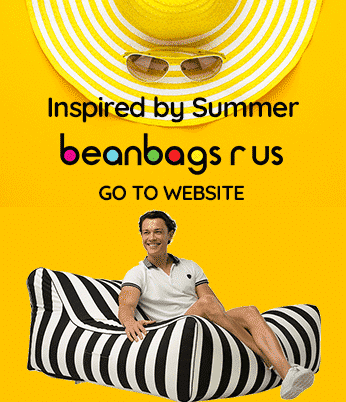 Bean Bags R Us NewsBean Bag ChairsWhat are the Best Bean Bags for Gaming? If you are an avid gamer, you spend hours in the same seat and the same position, so finding comfortable gaming furniture is a high priority. After all, it’s hard to keep gaming skills at peak levels if your mind is distracted because of an uncomfortable chair or lounge. At Bean Bags R Us, we have the solution. Our premium bean bag lounges offer you the ideal position and support you need to play and feel your best, and the premium bean bag does it all with a one-of-a-kind style. What Does a Gamer Need? As a gamer, you are likely to perform best in a semi-reclined, relaxed seating position. The best seat design for this situation lies somewhere between a chair and a lounge. Because physical comfort and balance are essential for concentration, most everyday furniture does not work. Sofas can cause back and neck pain, for example. When you lean forward on a couch or bed, you limit your range of motion and stress your respiratory muscles. Depending on the type of game involved, a complete range of arm motion may be necessary, so chairs with arms are either awkward or entirely out of the question. Besides diminishing your gaming abilities, sitting in awkward positions on inappropriate furniture for hours is not good for your health. Constant pressure on sensitive nerves can lead to numbness and tingling in your hands and feet. In severe cases, muscle weakness, cramps and poor circulation may develop. Painful muscle spasms in your back or shoulders can interfere with your daily activities and may require medical treatment. Our quality bean bag chairs provide what traditional furniture can’t. They support your limbs, upper back and head to create an ergonomic seating position you can maintain for hours without suffering the physical pain or restricted movement related to hard seats. The airy softness is comparable to the most comfortable sofa or recliner cushion you’ve ever experienced, and you won’t even have to sacrifice style. Our bean bag lounges are available in a variety of trendy colours and shapes, so your gaming space can reflect your personality. Each product’s unique coated polyester fabric cover is soft against the skin; it won’t sweat or feel sticky like vinyl or leather. Your new lounge is also resistant to water and stains, and it’s lightweight, so you can easily store it when you need extra space. Our Lazy Bro Bean Bag Lounge is specially designed with the gamer’s comfort in mind. Its soft shape allows you to sculpt it to fit your body, for customised comfort. If you need to change your body angle on the fly, you won’t have to put up a fight. Prop it up to increase back support, or lie it flat to relax. As a bonus, you can use the Lazy Bro indoors or outdoors. Gaming at the poolside has never been more comfortable. The Lazy Bro is available in nine colours including black, blue, red, pink, silver, white, turquoise, orange & lime green! The super sturdy fabric is also super soft, so you’ll always be comfortable! If you need a larger bean bag, the Big Mama is your answer. Excellent for gaming and relaxing anywhere, the massive Big Mama is large enough to fit gamers of any body size, with room to spare. When you’re not gaming, use it for reading, studying, watching movies or lounging outdoors. With its colourful style, durable construction, quality materials and ergonomic design that won’t send you to the doctor, you can’t go wrong with a Bean Bag Lounge. Check out our selection today, and enjoy a future of high-performance gaming in luxurious comfort. This entry was posted in Bean Bag Chairs, Bean Bag Lounges.